Gain valuable hands-on STEAM experience by teaching for Level Up Village this summer or fall! 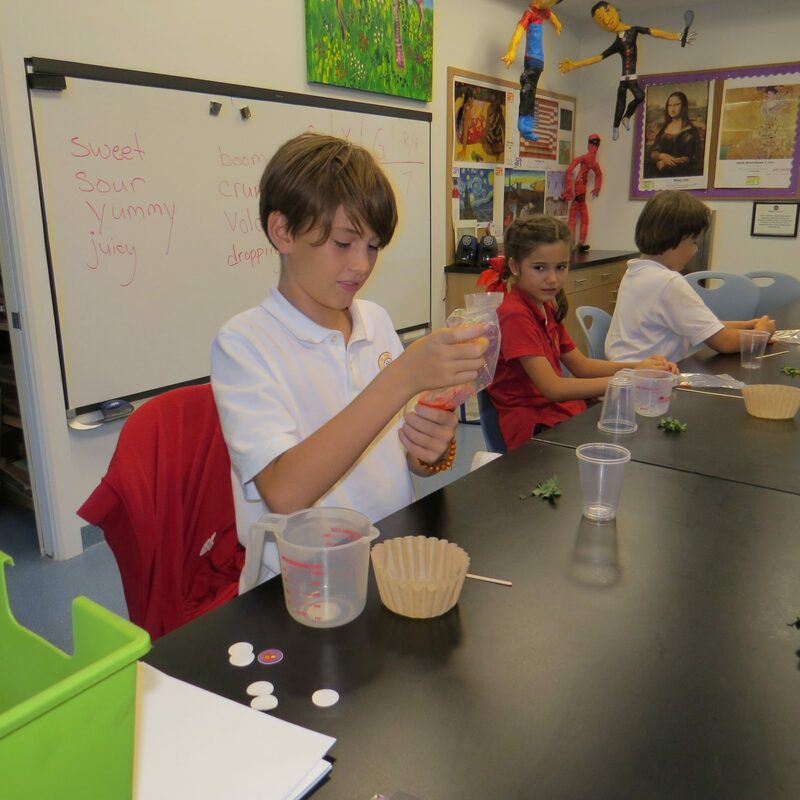 At Fisher Island Day School, students conduct an experiment in Global Doctors: DNA. In all Level Up Village courses, students communicate each class period with Global Partner students in developing countries to share what they learned, collaborate on projects and learn about each other’s cultures via LUV’s secure Global Collaboration Platform. Great teachers help make Level Up Village in-school, after school and summer camps programs the very best. Teaching our courses is a great way to get valuable hands-on STEAM (STEM + arts) experience and learn new skills in the areas of coding and game design, CAD and 3D printing, dissections, genetics and more. We are looking to expand our team of LUV Global Educators – LUV classes are currently running in 16+ states – and we need dynamic teachers to join our team as we continue to grow! We are running week-long summer courses throughout the U.S. and are currently looking for teachers in North Shore, Long Island, and Phoenix, Arizona. We will also be recruiting for our fall semester courses shortly – 6-10 weeks of teaching, one hour of class time per week. What can you expect from working with us? Read five practical tips about the benefits of LUV’s self-paced professional development. Through our online training portal, LUV provides you with all the training and tools you will need to successfully implement our courses. In a LUV classroom, you will be teaching cutting-edge STEAM skills, using our fully-developed curricula and teaching materials, while connecting with a global partner classroom across the world. If you’re a motivated and dynamic teacher, who thrives in helping students develop a growth mindset through collaborative and experiential learning, please get in touch! Also, see some of the great work by teachers around the world on our new LUV Global Educators Lounge and on our blog! Click here for more information about teaching opportunities or email teresa@levelupvillage.com. Teresa Fellows: Teresa is the Director of Teacher Training and Recruitment at Level Up Village. Read more about her here. Hi! This is a test comment.